Reginato Ristorante is an Italian restaurant in Lake Katrine that is off the beaten path. I've never had any reason to go down Leggs Mill Road off of Route 9W in Lake Katrine before. When we arrived at 6:30pm last Friday night, the restaurant was packed. I didn't make a reservation, so we had to wait 10 minutes or so for a table. Reginato's is an elegant restaurant, but it is not glamorous or pretentious. I felt like I was eating in my aunt's fancy dining room. Our server seemed a bit distracted by the chaos, but turns out he was paying attention. He was just on auto-pilot. 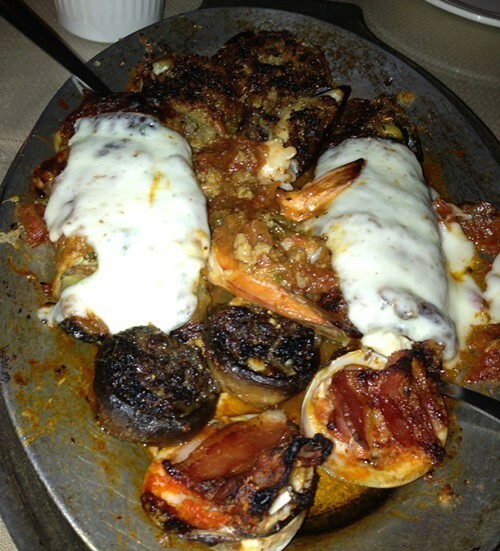 For our appetizer, we shared the antipasto caldo for two, a delicious sampler which included clam casino, clam oregano, mussels oregano, eggplant rollatini, Stuffed Mushroom and Shrimp Fradiavolo. Tom had a craving for Caesar salad so we ordered Caesar salad for two. 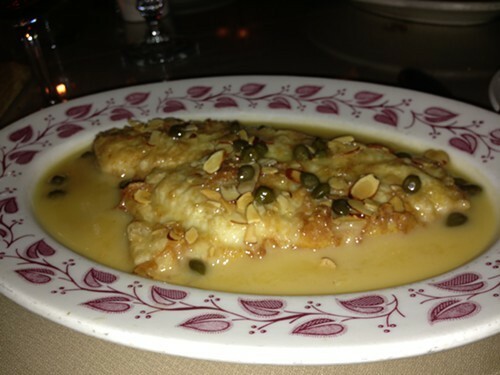 I had the filet of sole almondine for my entree, and Tom had the chicken parmaigiana. I was really impressed with the food here! The hot antipasto was perfect. Everything was very juicy, buttery, and moist. The Caesar salad was out of this world! 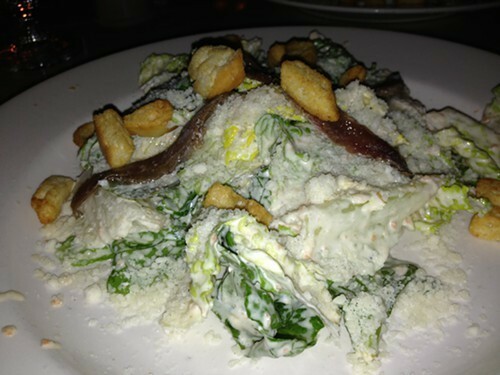 It was probably one of the best Caesar salads I ever had. The service was very friendly, but not all that speedy, which was fine because I needed the time to rest my stomach between dishes. By the time my entree came, I knew I was not going to have room for dessert. (I'm sure the desserts are good though!) Everyone gets a small serving of watermelon at the end of their meal. That's a nice touch! I would wholeheartedly recommend Reginato if you are looking for a romantic Italian dinner, or just a get together with friends. I'm adding Reginato Ristorante to my "Restaurants I Love" category. For Hudson Valley Good Stuff, go to Vanessa Ahern's blog, HVGoodStuff.com.